Enter at your own risk! 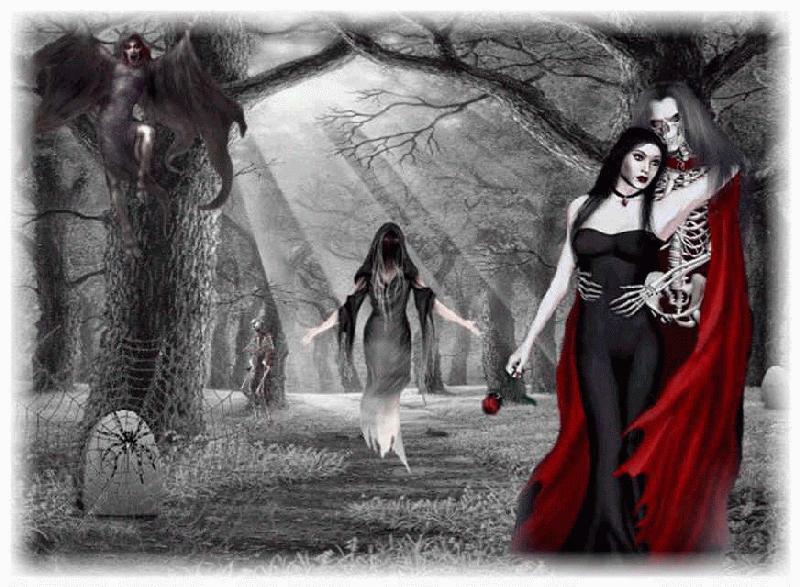 We are an interactive haunted attraction. We can touch you but you can't touch us! "You will experience intense audio, lighting, extreme low visibility, strobe lights, fog, damp or wet conditions, moving floors, special effects, sudden actions, and an overall physically demanding environment. 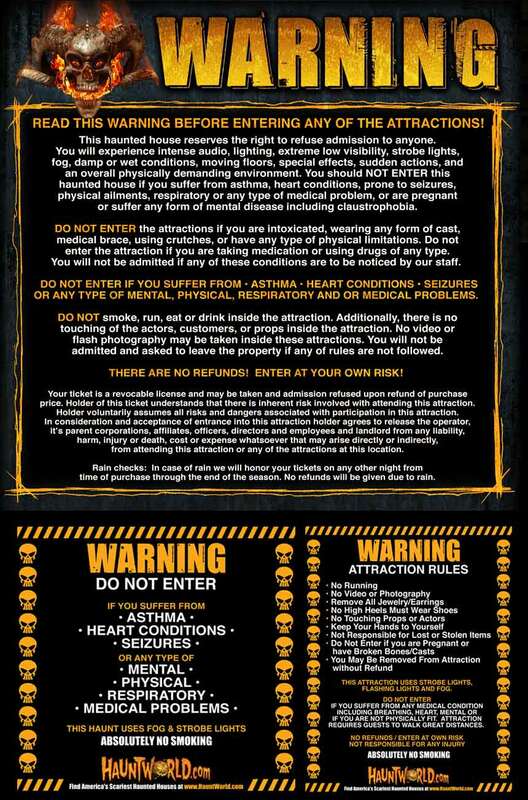 This attraction is not recommended for those with seizure disorders, asthma, claustrophobia or similar health concerns NO smoking, flashlights or drinks on the trail. There is to be no touching of actors, other customers, or props on the trail . No video or flash photography may be taken inside the attraction. You will not be admitted and will be asked to leave the property if any of these rules are not followed. THERE ARE NO REFUNDS! ENTER AT YOUR OWN RISK! This attraction reserves the right to refuse admission to anyone. The ticket holder understands that there are inherent risks when participating in an event such as Camp Fear and assumes all risks and dangers associated therein. The ticket holder agrees to release Camp Fears owners, volunteers and property landlord from any liability, harm, injury or death, cost or expense whatsoever that may arise directly or indirectly as a result of participation in Camp Fear. As ticket holder you voluntarily enter at your own risk and have read the Warnings and Rules & Regulations.